Bob Mansell had a shop at 504 Oldbury Road, Smethwick. He also had a shop in the main street Smethwick for a while, but mostly selling children’s bikes and toys. Bob was a top coach, and he promoted races around the parks and schools in the Birmingham area. He also took groups of school children on cycle racing camps near Stourport. Lots of the region’s top riders were helped along by Bob at sometime or other. 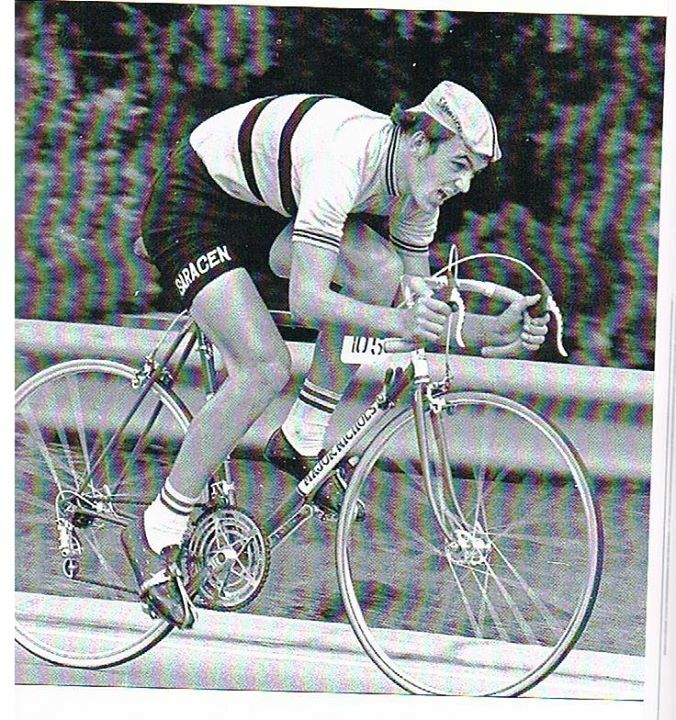 I remember riding up from Ross on Wye and riding criteriums around Hadley Stadium, with Grant Thomas plus several other well known riders. This photo (above) is of my first real racer. Through my Dad, I got to know Bob Mansell very well, and the bike in the picture was a Planet Pintail, from 1958. My Dad took it into Bob’s shop in Oldbury Road, Smethwick for a re-spray. Major Nichols did Bob’s renovation work, and this is how it came back. Beautifully finished in White with Black Panels and Bob Mansell decal. This was 1964. I won 5 events straight off on the bike including the Hereford Wheelers Easter 25 TT which was my first open win. Bob introduced me to Major in about 1966, and despite Major’s reputation as a bit of a problem to deal with, I had no trouble what so ever. Except when I took my Harry Quinn in for a respray and asked him to put Major Nichols decal on it. His reply – “I’m not putting my name on that bloody rubbish”. Bob was on very good terms with Major, Bob also did a Paraffin round from the shop. When the shop closed Bob moved to a house not far from the shop, I can’t remember the park’s name. Bob sadly died following a brain tumour some years ago, not many months after Major himself died. Here is a picture taken by the Late Ron Good. 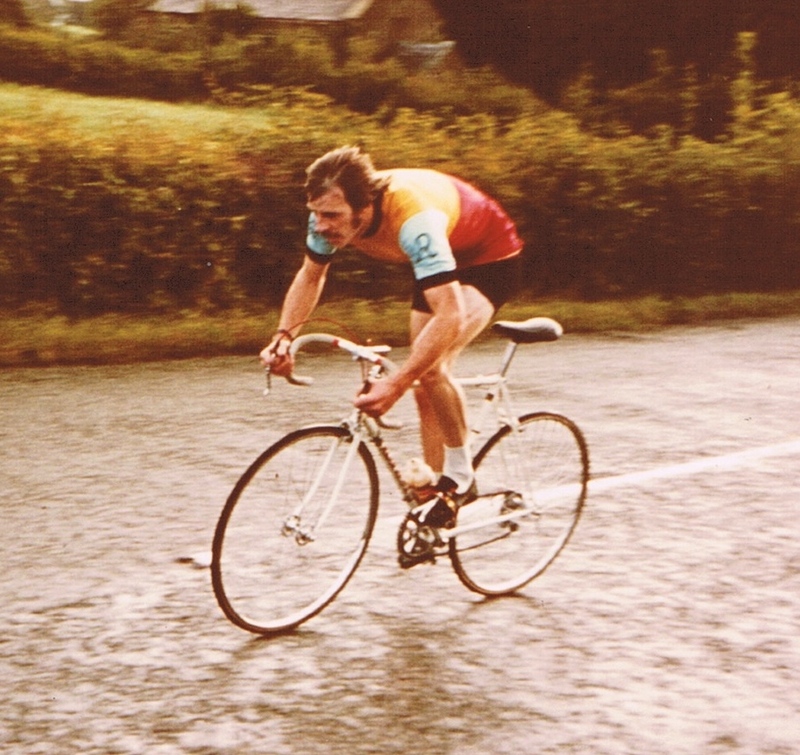 Ron was probably the finest photographer of cycling in the country. The rider in the picture is Paul Carbutt on his Major Nichols. He was then riding for the Saracen R.C. Paul was one of the best all-round racing cyclists in Great Britain, winning Championship Time Trials, International road races and he also broke the End To End Record, eventually turned professional for Viking Cycles. Sadly Paul passed away in May 2004, after a brave battle with motor Neuron Disease. Apart from his prowess on the bike, he was a lovely man and is missed by us all. 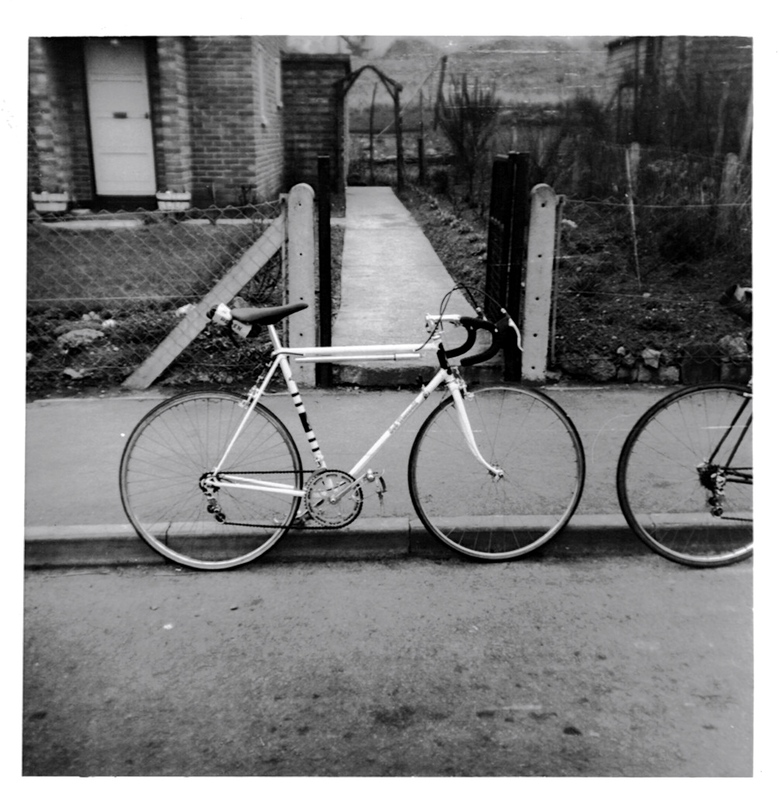 My very first ‘custom’ frame was a Major Nichols, built in 1972 (MN7296) which was sadly stolen several years later. I then acquired a unique ‘Major’ from a friend (MN7319) which had the full sloping fork crown milled out in a square shape. The frame was finished in white with red transfers and I made the mistake of selling it on a few years later. I would dearly love to get the frame back, so if anyone knows its whereabouts, I am prepared to offer a large amoutn of money for it. 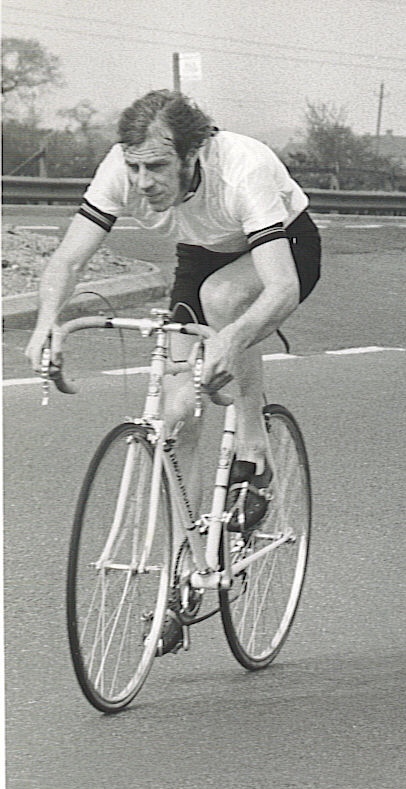 Tony Eadon began cycling with the North Birmingham CTC in 1971 when the club was going through a very difficult period and kept together with just three or four members including myself, David Moyes (another MN owner) and Mike Burton. Tony was a very strong rider indeed and completed the epic CTC/DA 240 miles in 24 hours a total of 10 times and only bettered by the organiser Dave Pountney. Some of Tony’s other epic rides included cycling from his home in Birmingham to Colwyn Bay and back in a day as well as cycling from home to Plymouth, Devon. In 1972 three of us did a hard-riders 2-week tour to Lands End and back and was the only one to manage the climb of Porlock Hill (1 in 4) much to my annoyance! I then had to abandon the tour due to food poisoning in Cornwall and returned home to Birmingham by train. With the money I had left from that tour, I visited Major Nichols a few days later and ordered my first custom frame from him. See above. I am still very active now that I am retired and look forward to seeing other ‘Majors’ at the annual ride in May. I briefly rode in the late 60’s with West Bromwich CTC Group which use to set off from Carters Green on Sunday mornings. Although I lived in Handsworth Wood and rode a F.H. Grubb, which I still have, I was always made very welcome. Most of the lads had Major,s bikes and I looked in at the shop from time to time as visiting bike shops was always a fun thing to do. About this time I bought a Cliff Peters track bike from a friend which I have used as a hack bike over the years I still have it and intend to do it up,it has frame number 4955. I have read that Major built Cliff’s frames and as C.Peters decals are not available would it be too cheeky to use Major Nichols Transfers on the resprayed frame? Cliff Peters was a respected outfit. We would encourage you to use his name. There is another guy in the same boat who has said that he is going to get transfers done and if you email the site (see contacts for email), we will put you in touch with him. Nothing stopping you badging as a Major but dont expect us to say it is one! Send us some snaps of the frame to have a look as we are always interested. If you can get hold of a copy of the original graphics, it isn’t too difficult to print your own transfers. Water slide transfer sheet is fairly easy to find on the net. They do need to be sprayed with protective lacquer once they’re in place. As I recall, Cliff Peters’s transfers were a fairly straightforward unpretentious font, so you can probably make them up from scratch.